It is raining now. I am listening to emo songs playing on the radio. Lite.fm has those old love songs that make you emo. So, I am missing you. And I found some old photos of you in my Flickr. Darling Mac, do you remember what lovely home I provided to you? 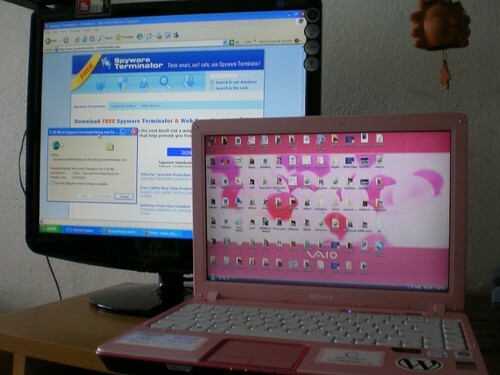 You used to compete with a pink Vaio. 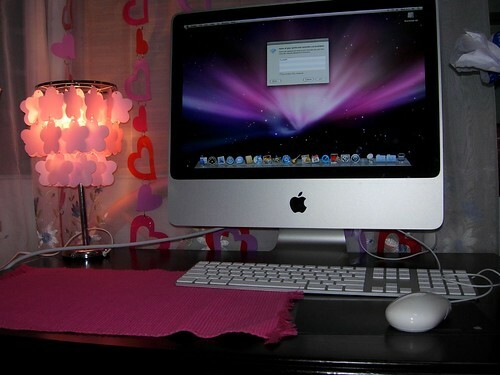 I place you in a pink room with pink love hearts, pink lamp and pink table cloth. When I was a full-time blogger, I was very loaded. I could buy you easily. I hardly use you because I have so many other gadgets. 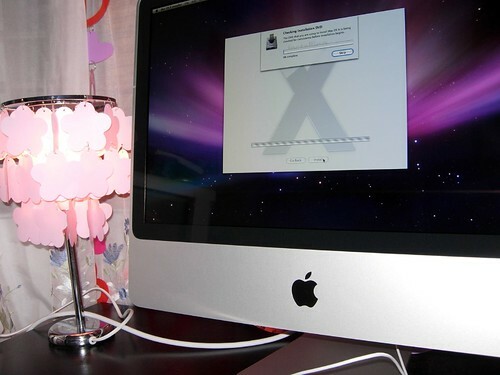 You were a lucky Mac, darling. Now, some bad people have said you are a bad Mac. The police came to take you away. Now, you are probably stored in dusty storeroom in Mines Cybersecurity. Or have Tuan taken you back to Brickfields and living amongst murder suspects, drug pushers, killers and really bad people? Do they treat you nice, Mac? Do they use you or abuse you? These are your old photos. Back in November 2007. Do you have a soul? I think you do. 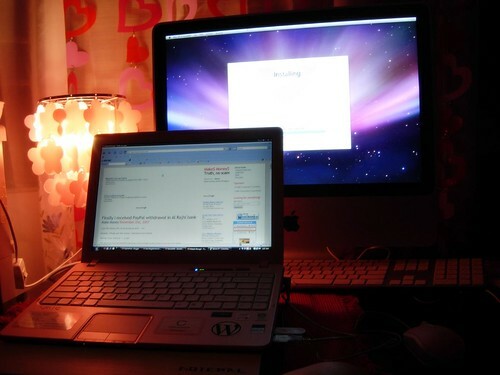 Please, Mac dear, do your loving mistress a favour. Please, like all foul mouth people like your mistress, please curse that Tony Yew for me. Let’s see what you can curse…. You can curse that for the rest of his life, he is forever going to endure computer crashing on him at the most critical moment. Or maybe you can curse both. Thank you, Mac. Till I see you, please tell Tuan not to be angry with me for this post. I am tired of asking already. Previous Previous post: But…make-up is nice!